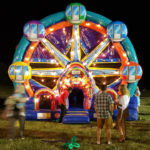 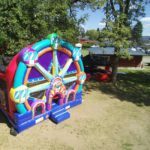 This bright and colorful Ferris Wheel Combo is a great inflatable addition to carnival-themed events, summer picnics and barbecues, and much more. 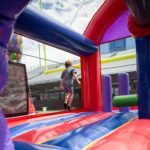 With plenty of room for bouncing and playing this inflatable unit is fully contained making it easy to put into indoor venues as well as outdoor venues. 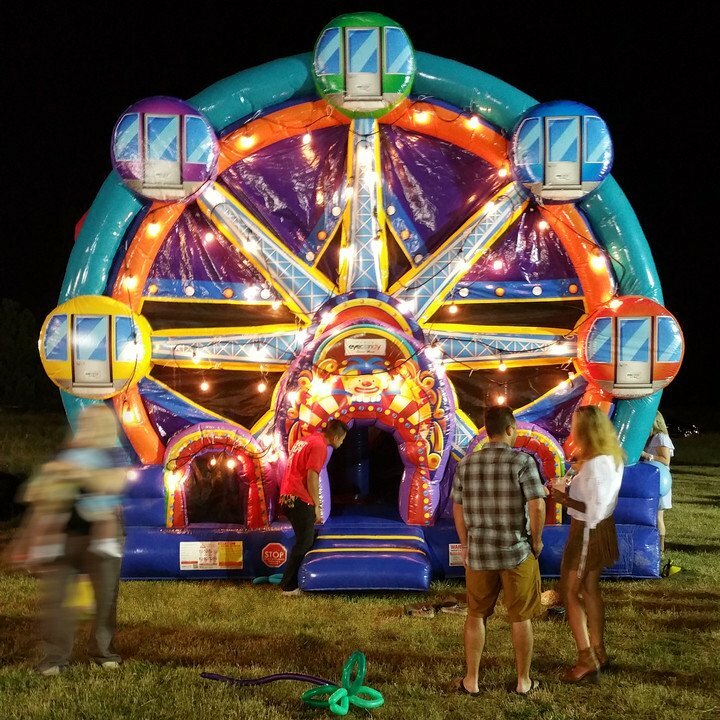 This inflatable unit goes great as a solo addition to an event or paired well with a wide variety of other inflatables in our rental catalog. 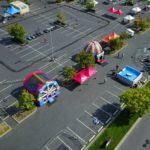 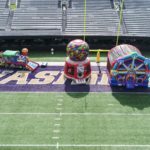 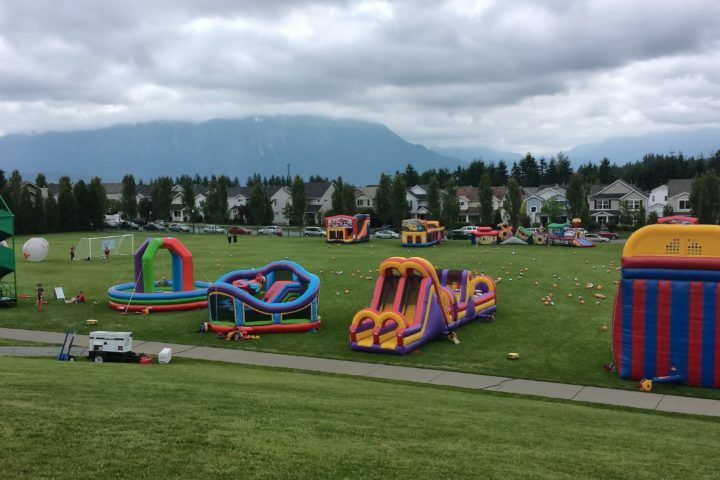 Reach out to an event planning specialist to learn more or browse our catalog for more inflatable bouncers, inflatable combo units, inflatable interactive units, inflatable obstacle courses, inflatable slides, inflatable kiddie units, and inflatable water units. 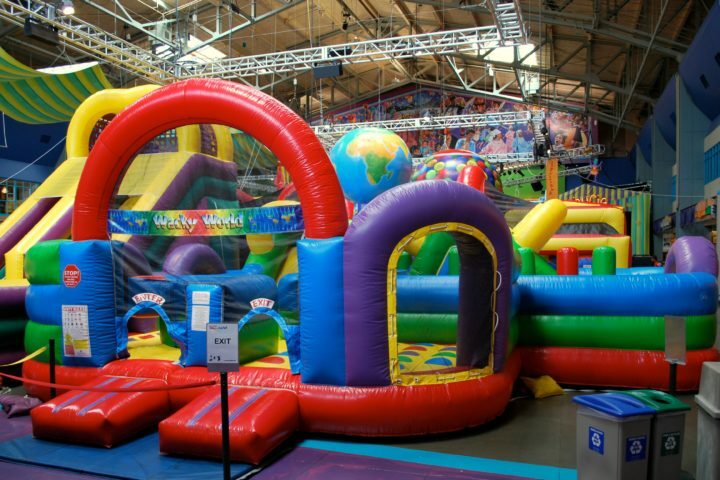 This is the perfect inflatable for those who want a bit of everything. 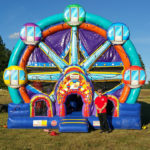 With multiple obstacle courses, a Twister game board style bounce area, and a climb and slide, there are so many ways for guests to enjoy this compact wacky inflatable.